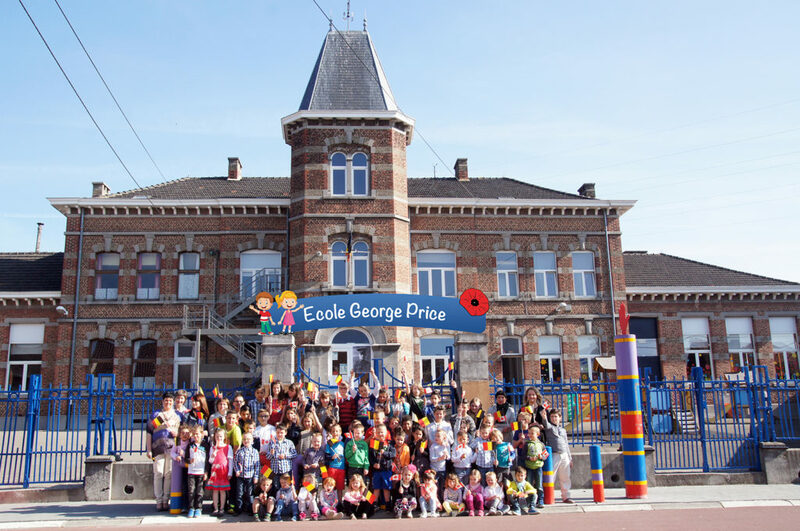 Friday, 24 April 2015, the municipal school of Ville-sur-Haine was named George Price School. 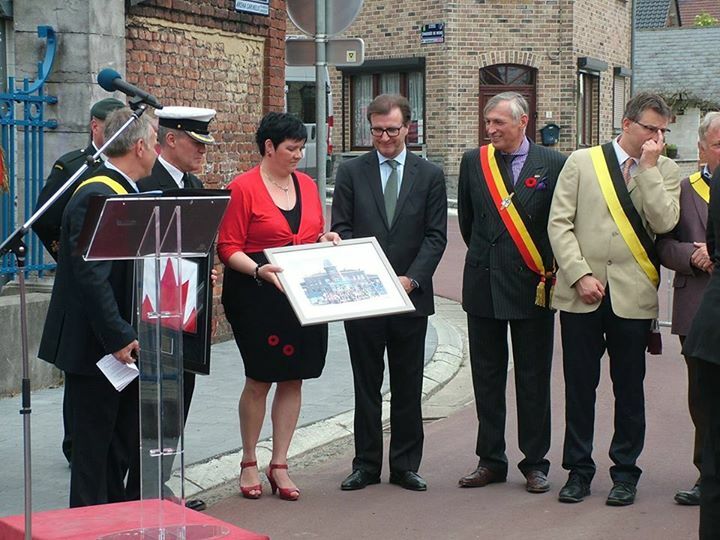 The inauguration ceremony was graced by the presence of his Excellency Denis Robert, Canadian Ambassador in Belgium. A large military delegation from SHAPE, under the command of Capt(N) J.D. 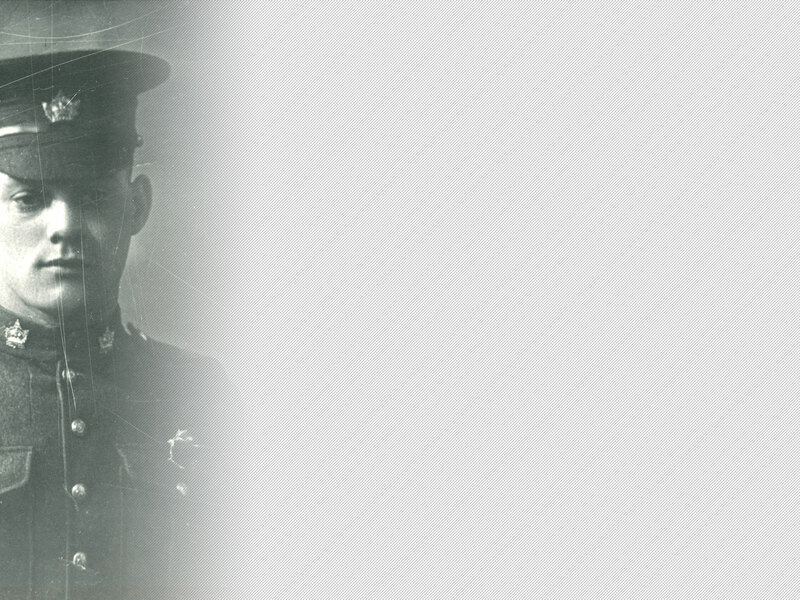 Scanlon, was also present. Congratulations to Jean-Francis Formule, Municipal Councillor for Education and Citizenship, who perfectly organized this ceremony. 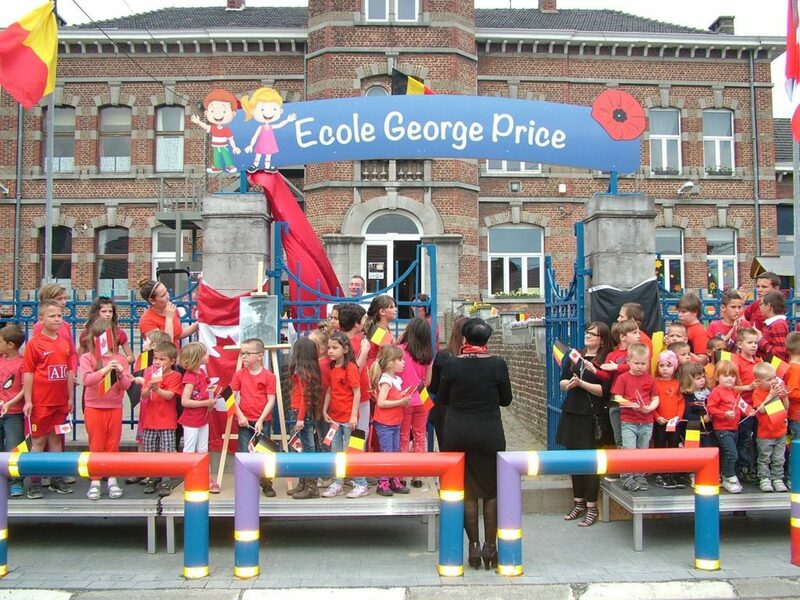 Also, thank you to Miss Anne-Christel Vilain, School Principal, and the teachers who were involved in the realization of this project over many long months. “Bravo” to all the students as well. They participated with great talent and all their heart in this event.